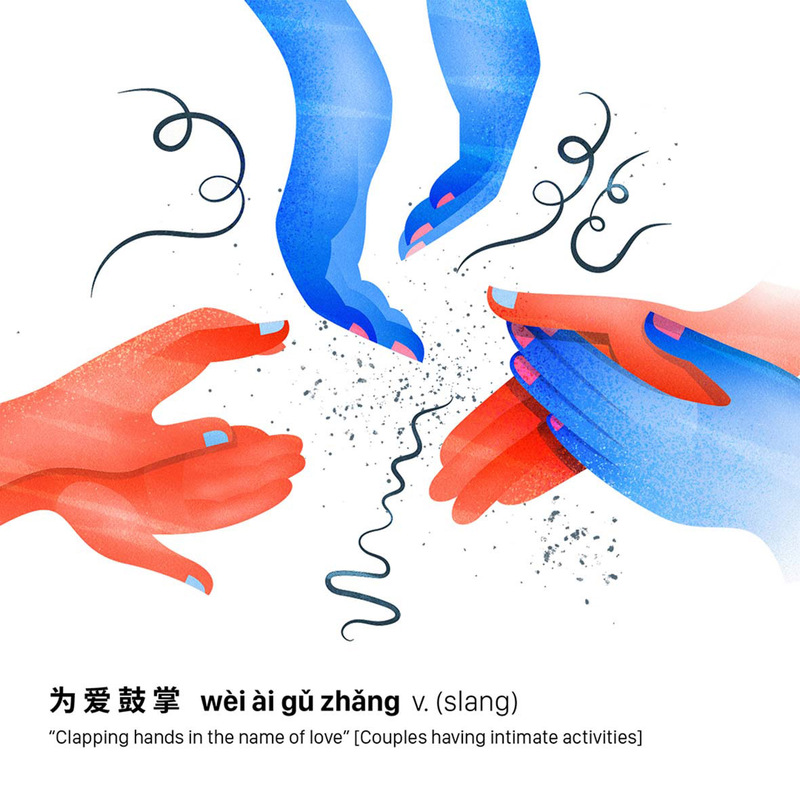 Mostly comprised of four characters, idioms, or chengyu, are one of the most beloved methods of expression in China. 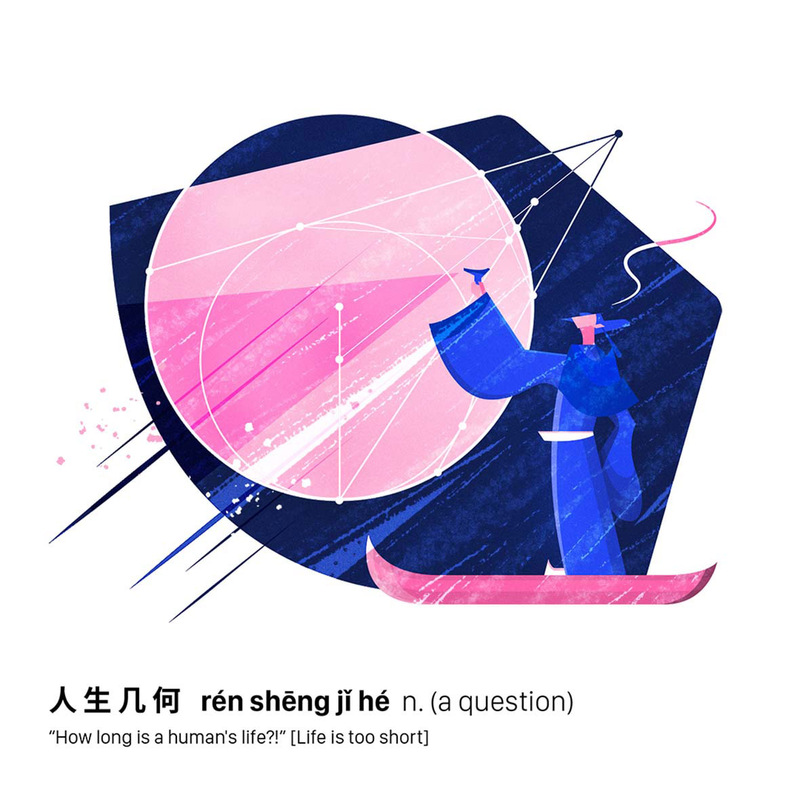 The appeal of chengyu lies in their power to convey complex and wordy ideas in a concise manner. 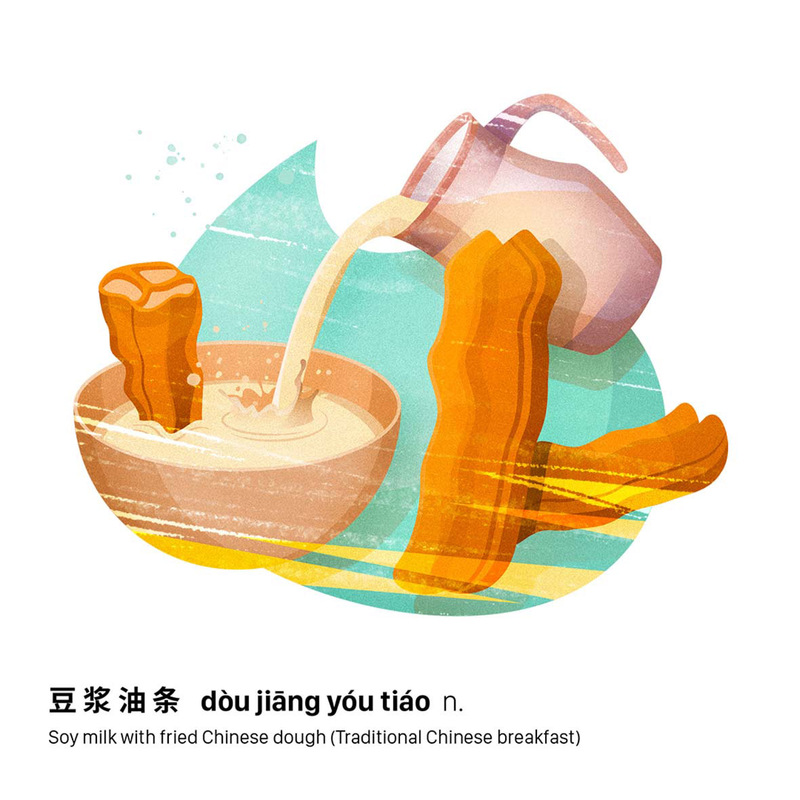 But being that many of these phrases originated from ancient Chinese literature, they can, at times, be difficult to make sense of without an understanding of their original context. 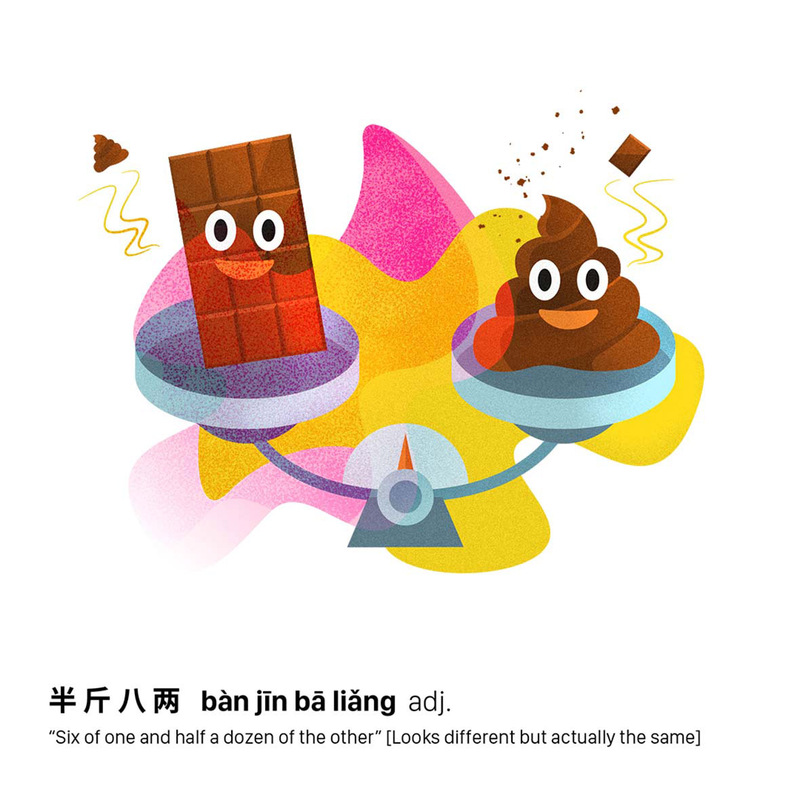 Luckily, the more convoluted expressions have all but faded from the colloquial lexicon in modern-day China, while many of the easier-to-understand idioms are still widely used. 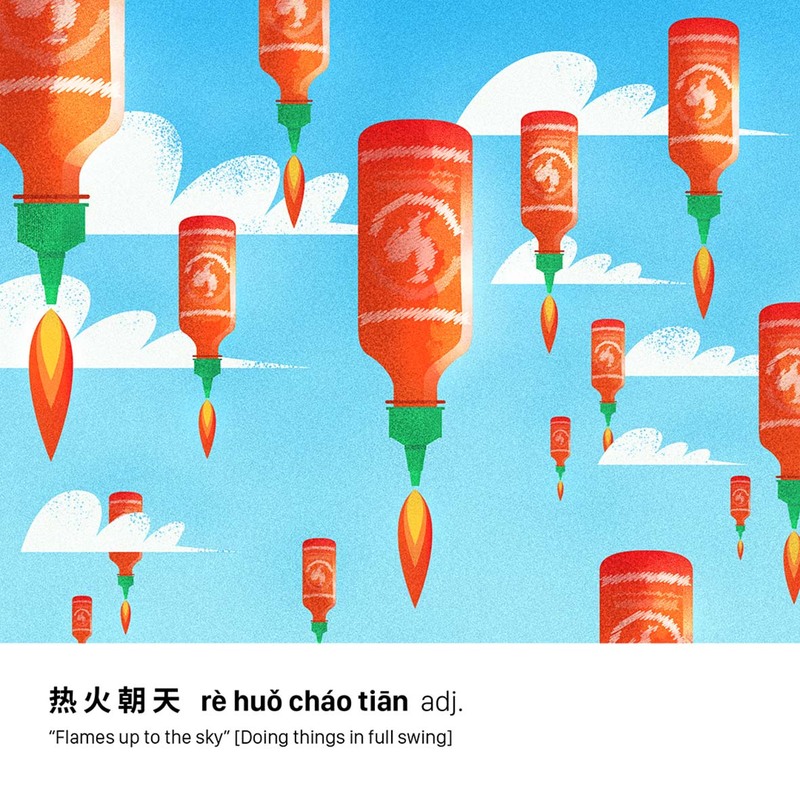 Today, the internet has become a breeding ground for linguistic creativity. 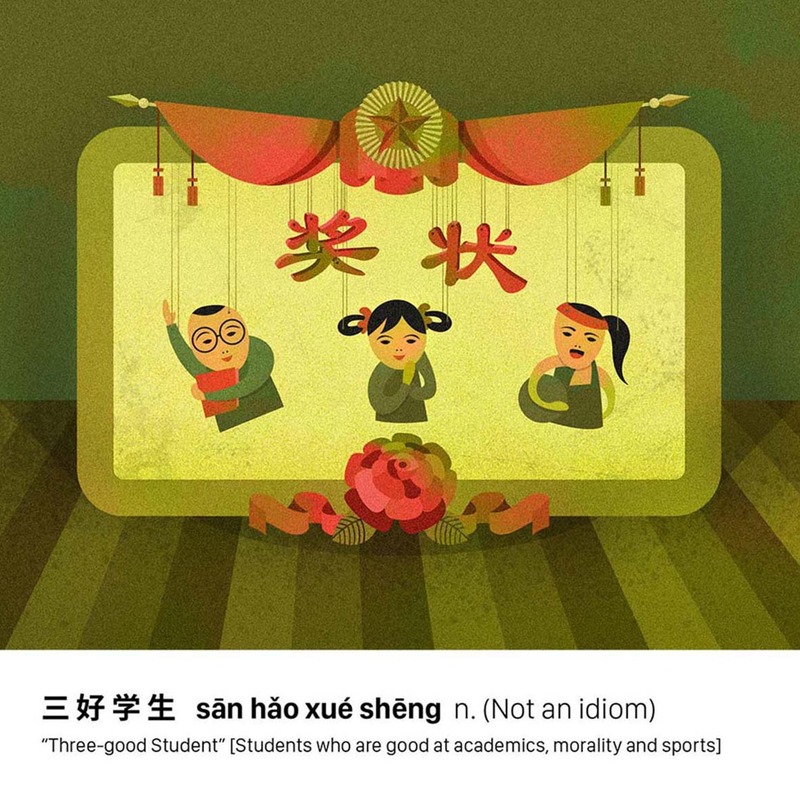 Chinese netizens have begun cleverly crafting their own four-character phrases that follow the formula for traditional idioms. 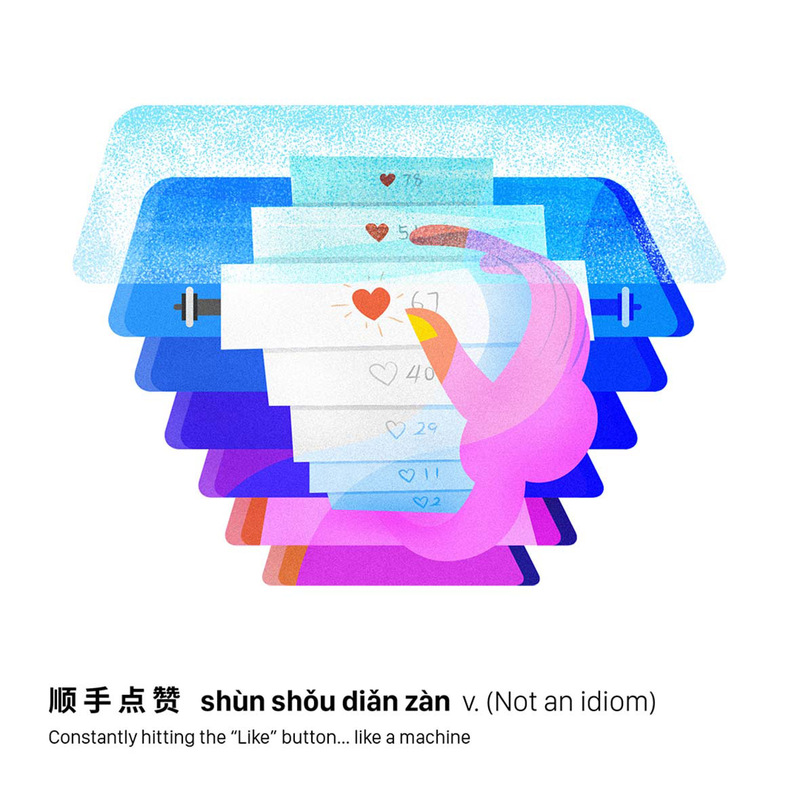 One such phrase birthed by the internet is rén jiān bù chāi (人艰不拆), which translates to “life is already hard enough as is, just cut me some slack.” It’s most often used in a jestful manner. 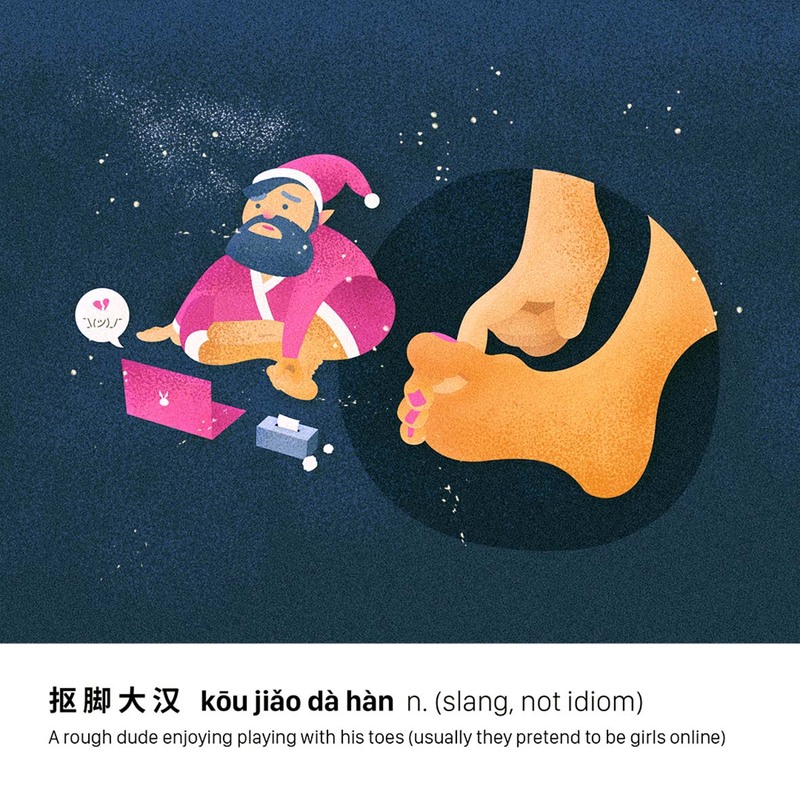 Another quirky internet expression that’s made the rounds in recent times is kōu jiǎo dà hàn (抠脚大汉), which is equivalent to “catfishing” in American slang, but it’s tailored to specifically refer to a man pretending to be a woman. 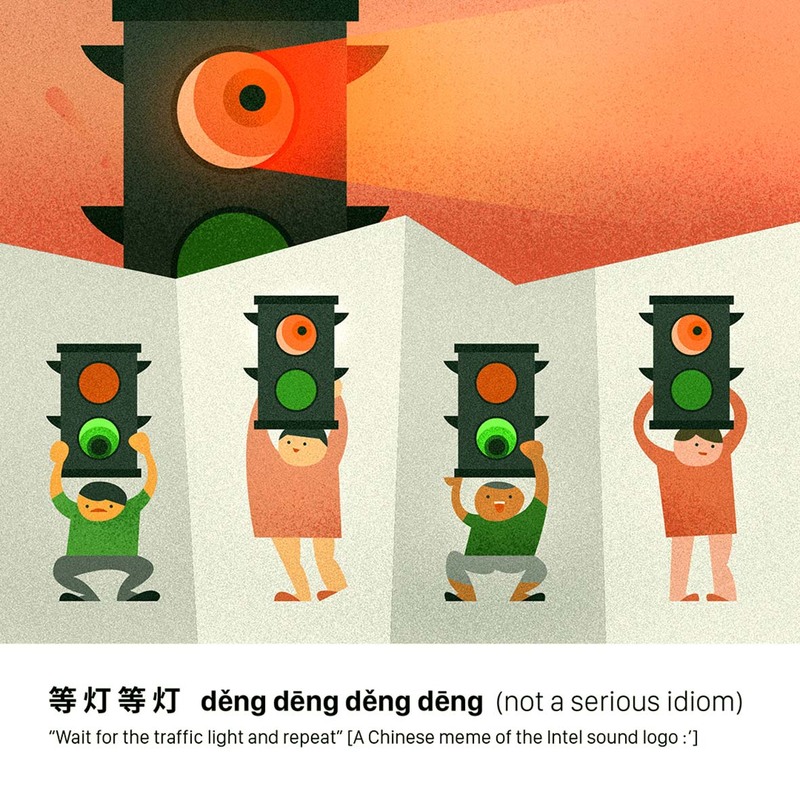 Similarly, many emojis and stickers used in Chinese messaging apps have followed this trend. 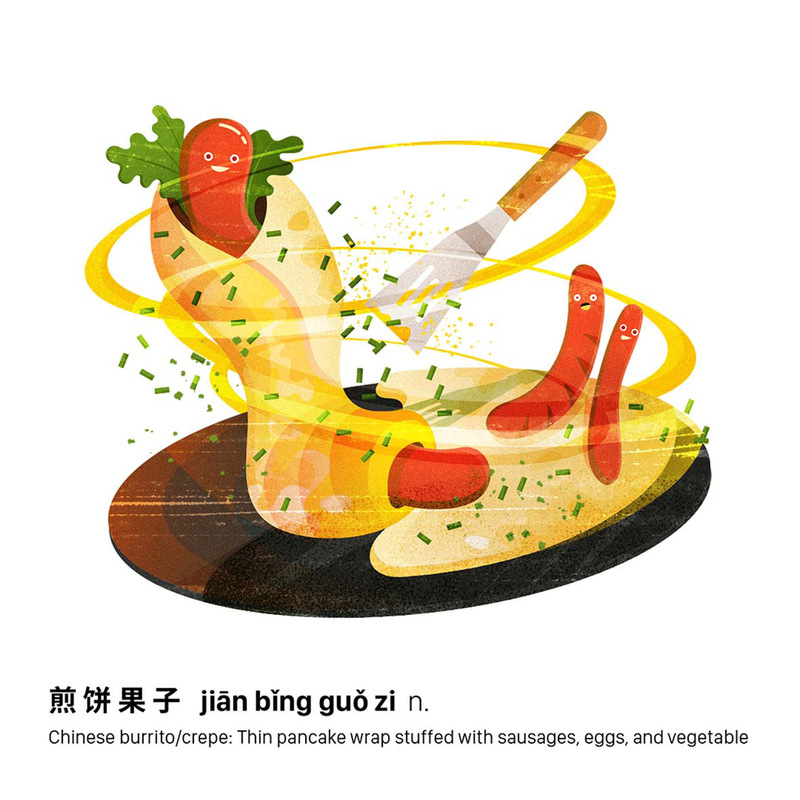 Images accompanied by four or five-character phrases are commonplace; they’re used to add humor or alter the expression’s original meaning. 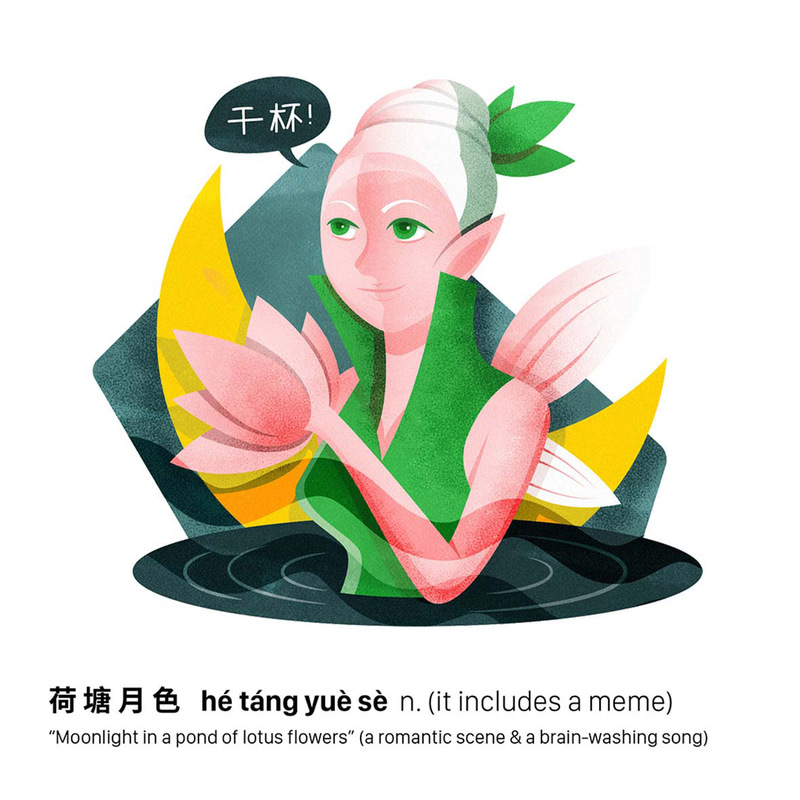 While much of these are basically Chinese memes, they serve as a testament to the linguistic versatility and nuanced possibilities of the Chinese language. 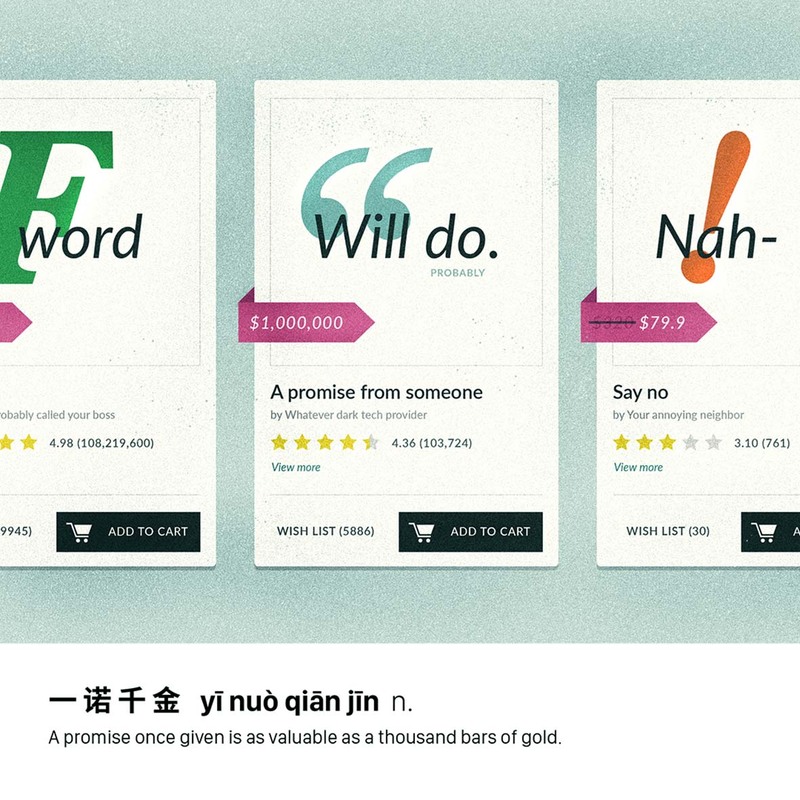 Designer and recent college graduate Xia Ruolan found herself intrigued by the evolution of these expressions, and in wanting to help explain their meanings to a Western audience, she created Four Chars, an illustration project that translates and simplifies some of the more commonly seen four-character Chinese phrases. 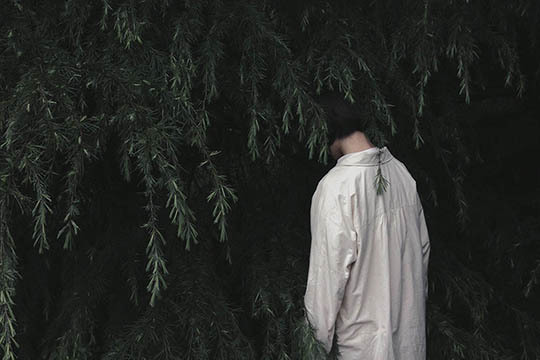 In the early days of Four Chars, Xia mainly used the project as a way of setting aside personal time for herself after work, a way to unwind from her stressful days. 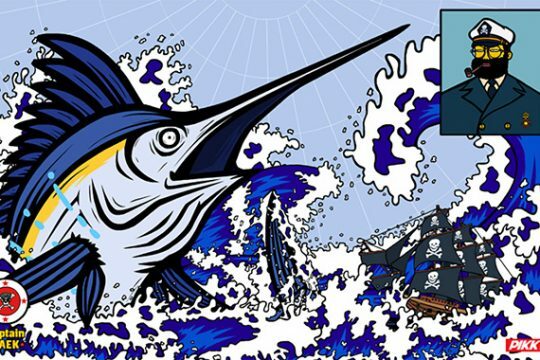 Xia recalls the many trials and tribulations that she experienced within the first year of her career: She underwent four different boss changes, switched departments three times, and even had to relocate to another country. 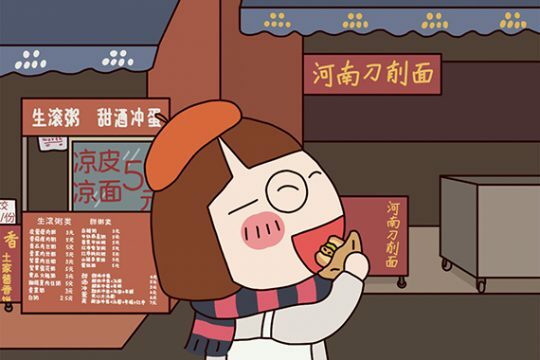 But aside from helping her cope from the stresses of work, and perhaps more importantly, the project was a way for Xia, who’s spent much of her life abroad, to reconcile with her cultural roots. 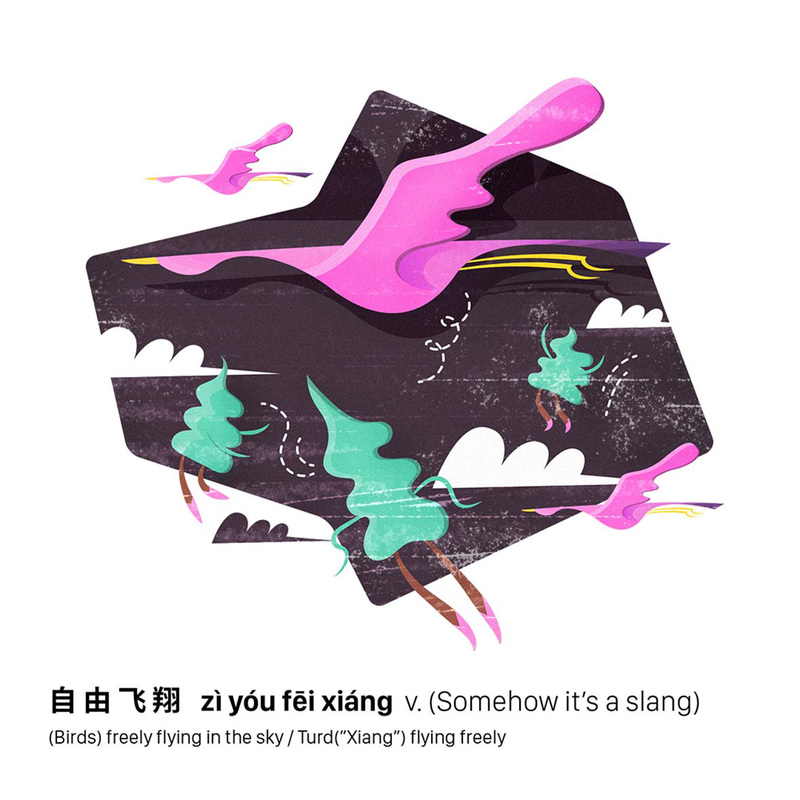 Being that Xia’s mother tongue is Chinese, Xia often found herself unable to fully articulate certain ideas in English. 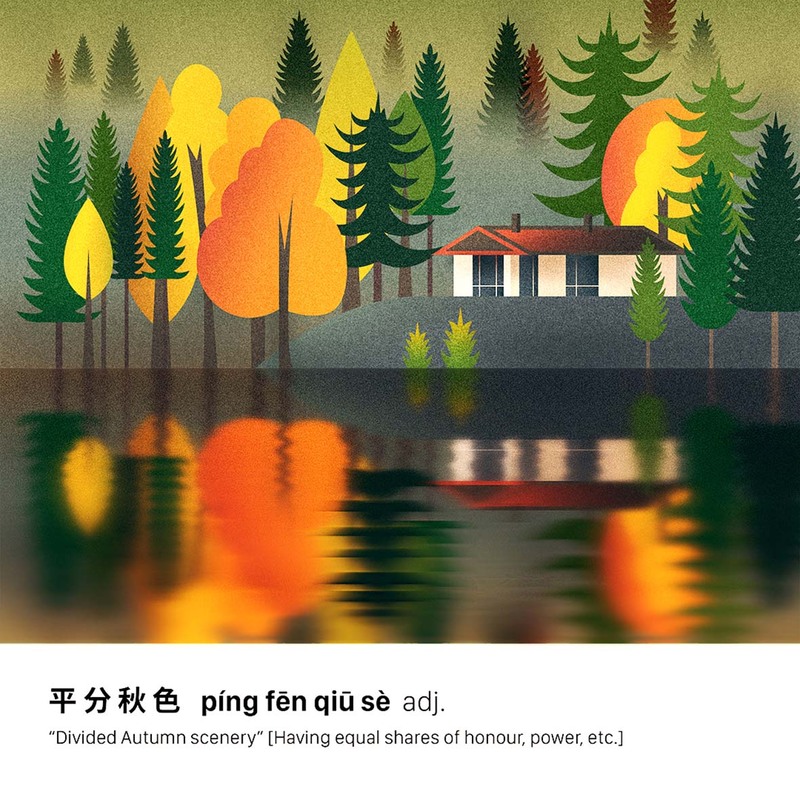 Out of these frustrations, she gained a newfound appreciation for the depth and versatility of the Chinese language. 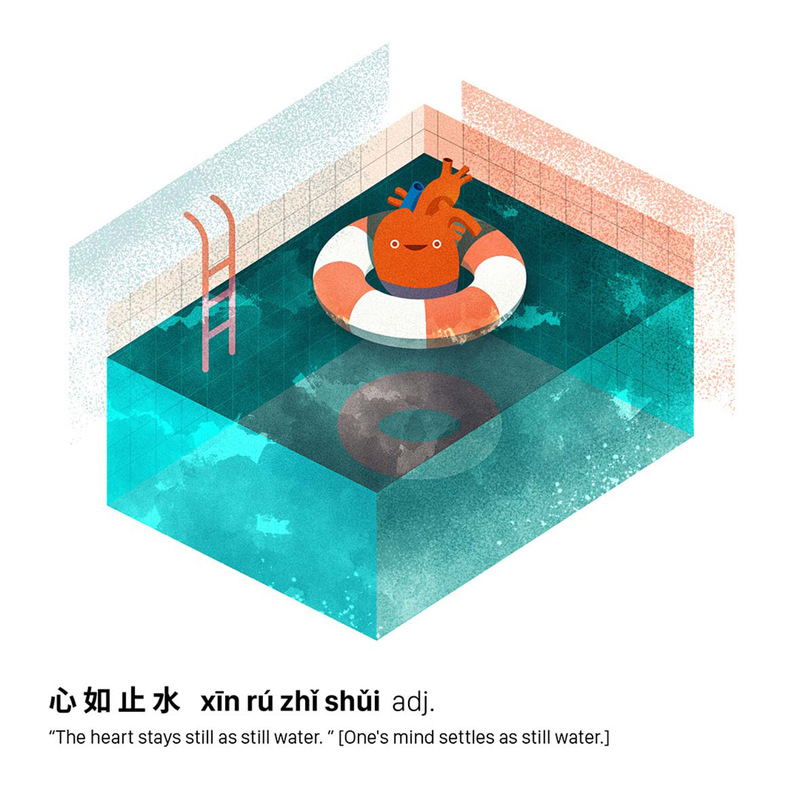 Xia wanted a way to share the beautiful subtleties and complexities of her native language with the world but needed to figure out an easily accessible approach. 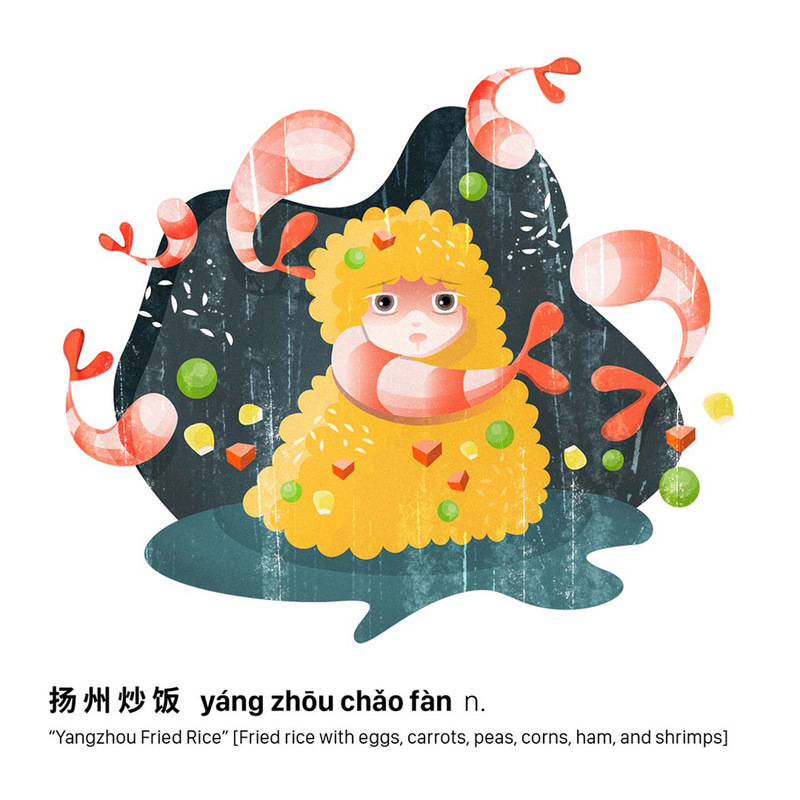 Noting the vast amounts of four-character expressions that exist nowadays, Xia came up with the idea to use illustration to offer easy-to-understand explanations for these common Chinese phrases, and thus, Four Chars was born.